 The Skin Clinic is just off Jct 43 on the M4, near the David Lloyd health clud less than 15 minutes drive from Swansea. The difference between the lip fillers and the skin fillers is the number of cross-linked molecules per ml. In lip fillers, the number of molecules is 2-3 times higher allowing a more fluid look, which prevents lumps and uneven points. Lip enhancement usually lasts for a slightly shorter time period than skin fillers, anything between 4-6 months. Normally the slimmer you are the quicker the filler is absorbed. You will see the difference immediately, as the procedure is carried out, so you will leave the clinic with fuller, crisper lips. However the lips may remain swollen for 24 hrs after treatment. Dermal skin fillers are known by various brand names depending on the manufacturer. There are a few leading brands which have got the most clinical data supporting their efficacy and they have all shown to be non-allergenic and integrate into skin easily and without causing any reactions. They consist of synthesised hyaluronic acid. This is a natural component in skin collagen (the part of the skin that gives it bounce). So over time, usually around 6 months, the filler material is slowly absorbed back into the skin tissue. Normally the slimmer you are the quicker the filler is absorbed. Dermal skin fillers are used in the nasolabial area (laughter lines) and to reduce the appearance of moderate to severe wrinkles or creases. Fillers are most often used in the lips to give them a fuller and plumper appearance. They can also be injected into the skin at various depths to fill out fine and moderate skin creases.